We all are working hard to create content in various forms, but what can we do to create the demand for it? If we build it, it will come philosophy won’t work. 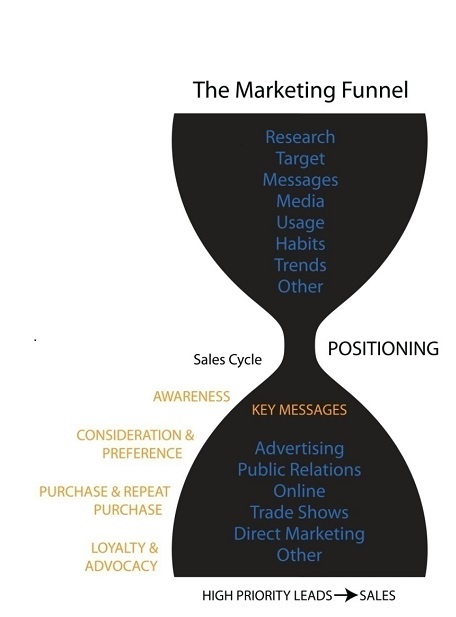 In the b-to-b space where selling cycles can be long with numerous folks involved, you need to address several different issues along the way down the sales funnel, but do you know what they are? I’ve long been a proponent of sales and marketing working closely together. After all, the objective of both is to sell more stuff. I’m amazed that folks in the marketing department spend little or no time in the field talking with customers. I always recommend marketing folks spend time with the salesmen in the field, and I don’t mean a day or two. Spend a week or so and you’ll see customers in various stages of the buying process. More importantly, you as a marketer have the unique opportunity, while in front of a prospect, to ask some really relevant questions that the salesman might not ask. What other types of info would be helpful in your decision-making process? What triggers a buyer to start the process? What kinds of concerns do your colleagues have that we might address? Focus on customers needs and concerns. Why do I keep harping on getting in front of the customer? Let’s be honest. Most companies don’t know their customers well enough. They don’t know or understand the buying process well enough. They don’t have content framework to communicate with the potential buyer. I read an interesting article recently by Jay Hidalgo in the Chief Content Officer magazine that outlines 3 steps to create a process to create demand for your content. He takes you through a process that engaged the combined efforts of sales and marketing resulting in a well-thought-out strategy, and content that will be on target that users will want to pass it on. You can read his entire article here.